Sally Anne Mayne Smith, A.I.A. 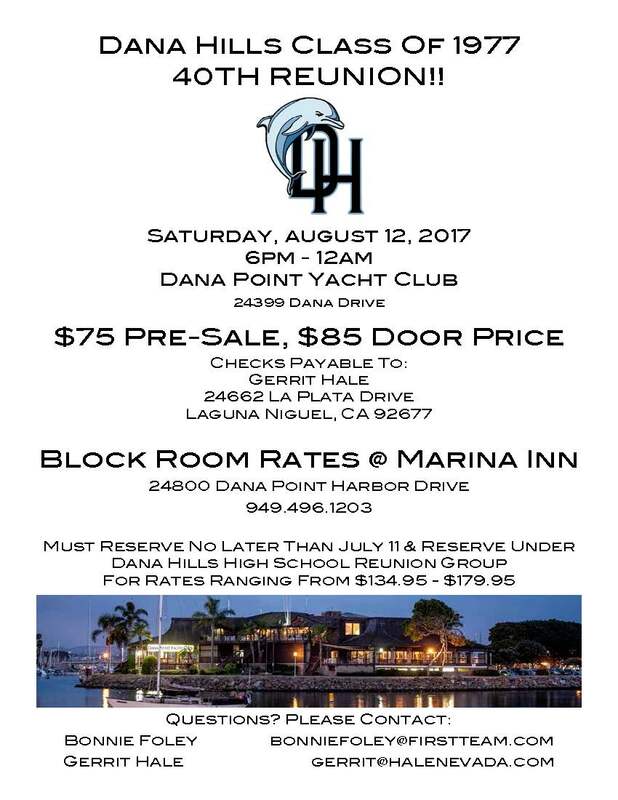 DANA HILLS CLASS OF 1977 - 40TH REUNION!!! Hello old friends Richard Battersby, Jr.
Its nice to hear from the class of "
It is a product of Classreport, Inc. and may not be affiliated with Dana Hills High School or its alumni association.